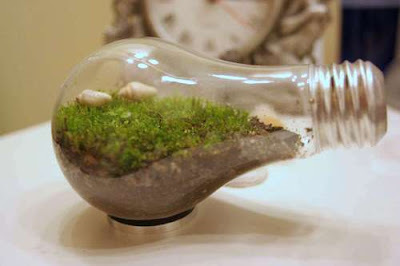 [BB-Blog]: Reusing lightbulbs as planters or mini terrariums. 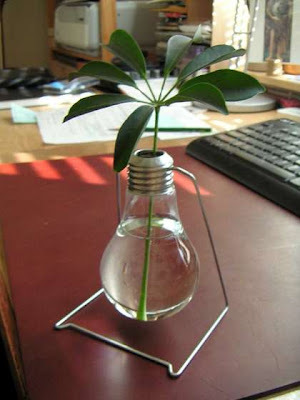 Reusing lightbulbs as planters or mini terrariums. I'm a sucker for repurposed light bulbs. Brilliant! I'm so reblogging this! Check it out! Oh, and I'm definitely following! Thanks for the great post! can you let me know how you are able to remove the white paint inside of the bulb? The white inside the bulb is actually powder. If you put sand inside the bulb and shake it around, it will remove all the white powder!